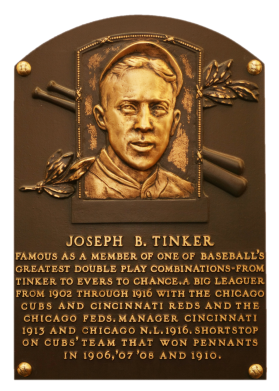 Interestingly, Tinker, Johnny Evers, and Frank Chance were all elected to the Hall of Fame in the same year. 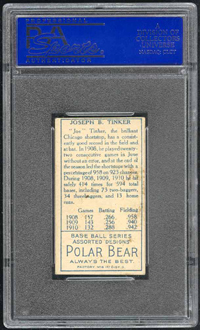 Shortstop Tinker was a fielding whiz who keyed the success of that double-play combo. 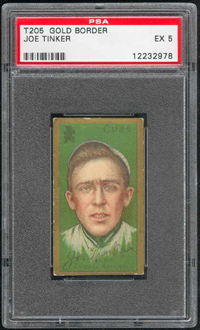 Although not a great hitter, he stole 336 career bases to augment his .263 average. 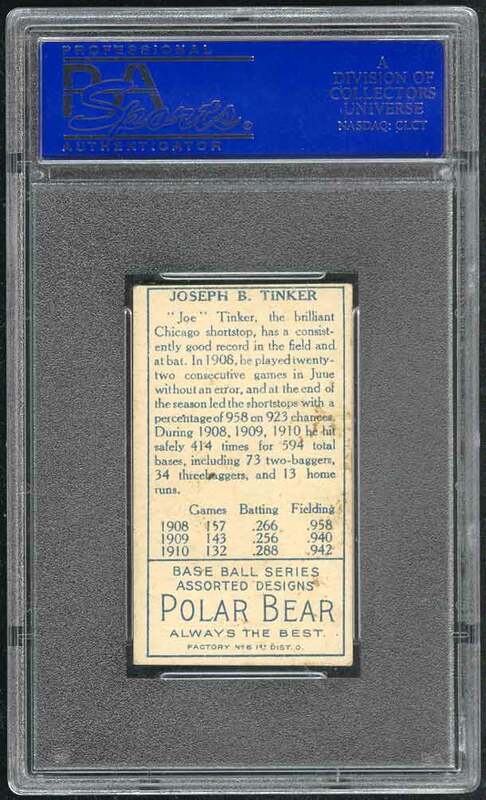 His batting averages from 1902 to 1912 (the years he was with the Cubs) were better than most starting NL shortstops of the time. Comments: I won a PSA 6 T205 in an eBay auction from seller Greg Schwartz / Bottom of the Ninth in February, 2002. The card was sold via my website in February, 2004. 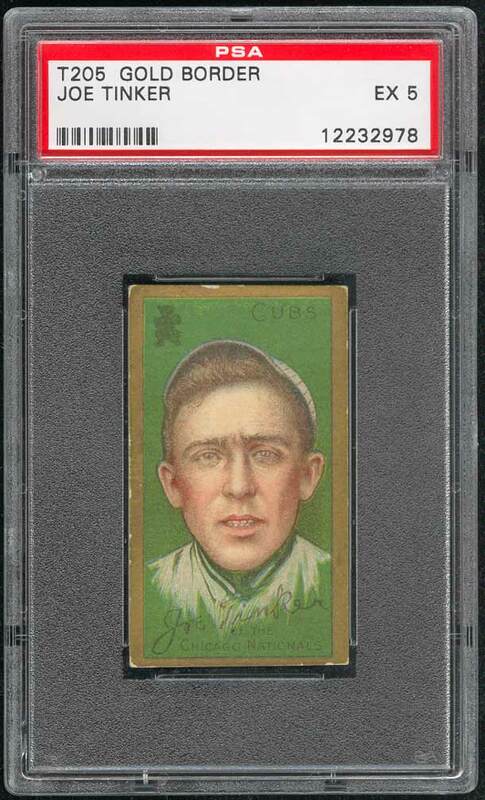 In March, 2004 I picked up a PSA 2 example with an eBay win. A couple weeks later I upgraded to a PSA 4 with another eBay win. In May, 2004 I won an eBay auction for a GAI 5 example. In June, 2005 I purchased this PSA 5 via eBay from David Bryan (davidbvintage).